The Prolight Concepts Group release 2 NEW ranges of Staging and Decks under their eLumen8 brand. 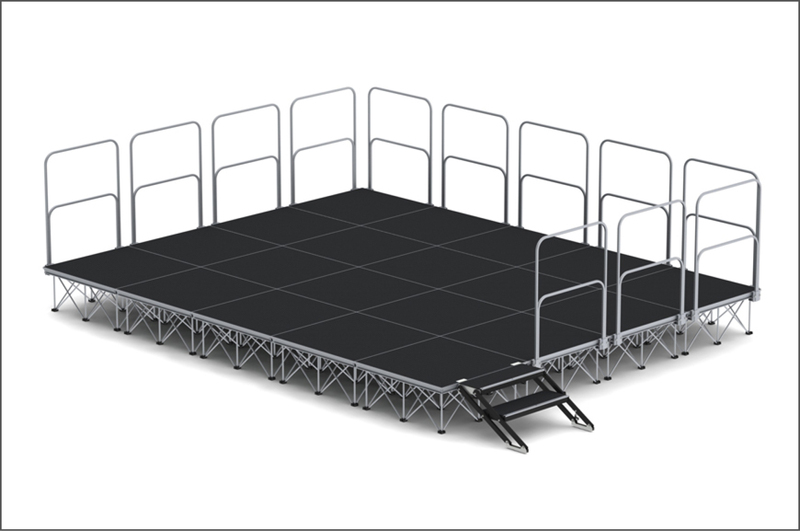 Suitable for both indoor and outdoor applications these new ranges are perfect for stages, fashion shows and conference podiums. 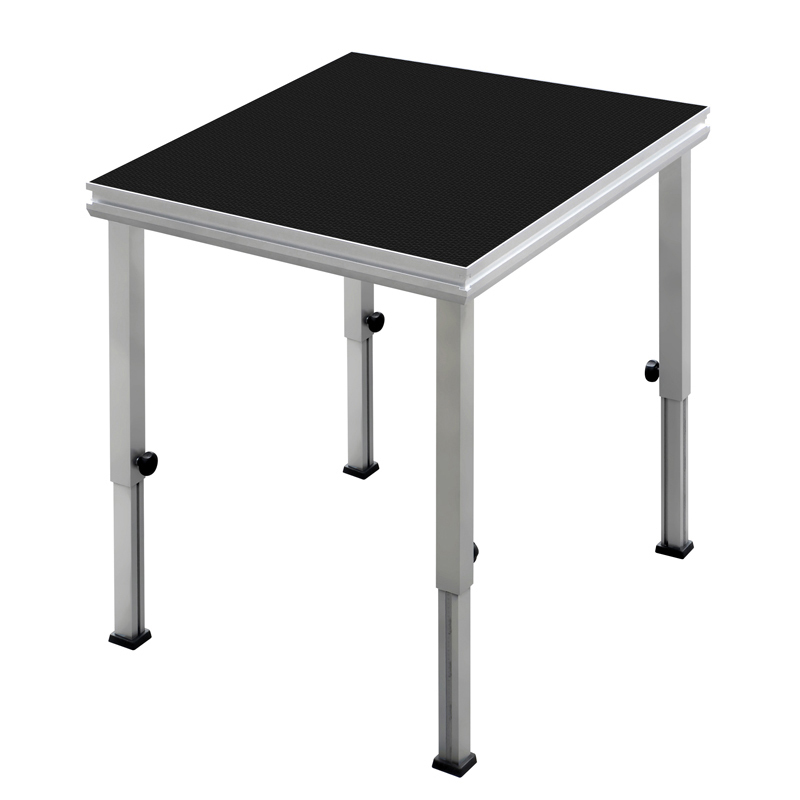 The eLumiDeck platforms can be supported by our range of legs, whilst the Click Stage platforms can be supported by our range of risers making it possible to adjust the platforms height. 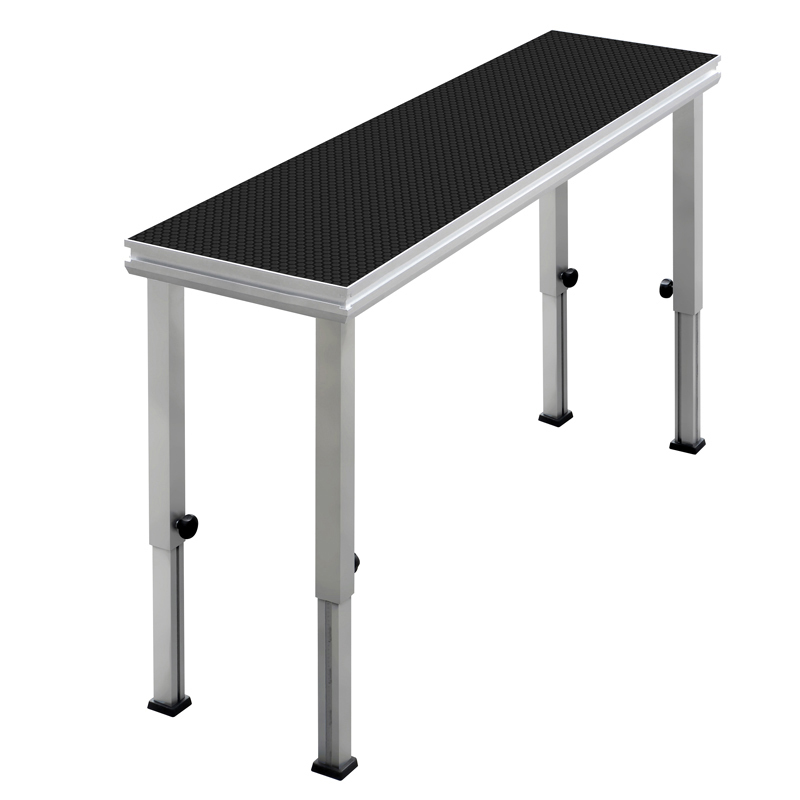 Rubber feet and cross beams featured on the eLumiDeck ensure stability whilst an anti-slip layer and other accessories including handrails and stair sets provide easy access and safety when using both the eLumiDeck and Click Stage Systems. 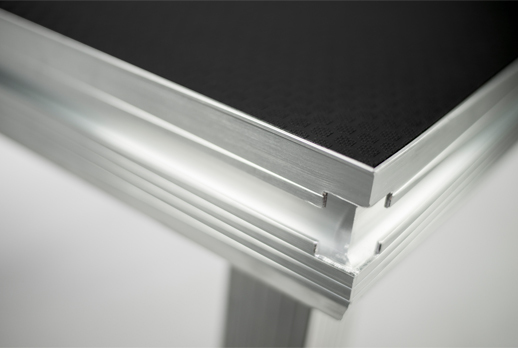 Both eLumiDeck and Click Stage ranges are constructed of specially designed lightweight, waterproof, aluminium sections in which platforms can be joined together to create the stage platform desired. 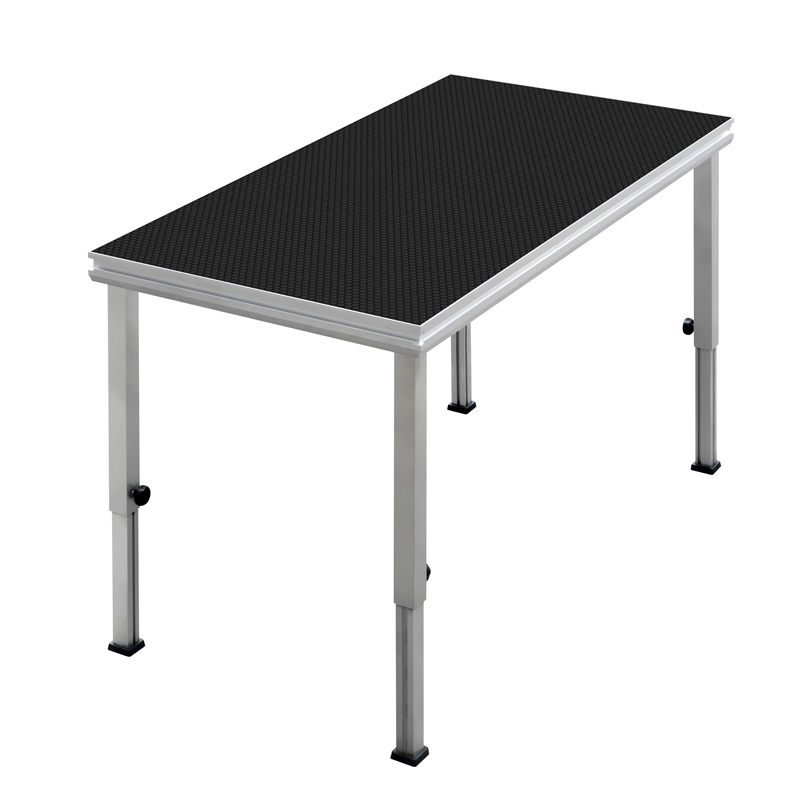 eLumiDeck and Click Stage platforms feature a maximum load of 750kg/m² and 500kg/m² respectively, making them extremely strong and durable. 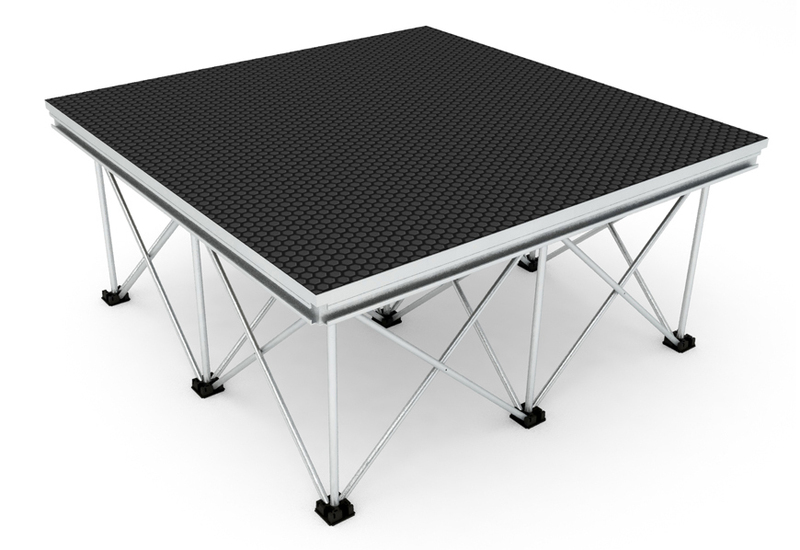 At a weight of 12kg for the CS1X1 (1 x 1m) Click Stage and 29kg for the ED2X1 (2 x 1m) eLumiDeck these platforms are exceptionally light and easy to transport. Both eLumen8 eLumiDeck and Click Stage ranges are available now. For full product details click here.